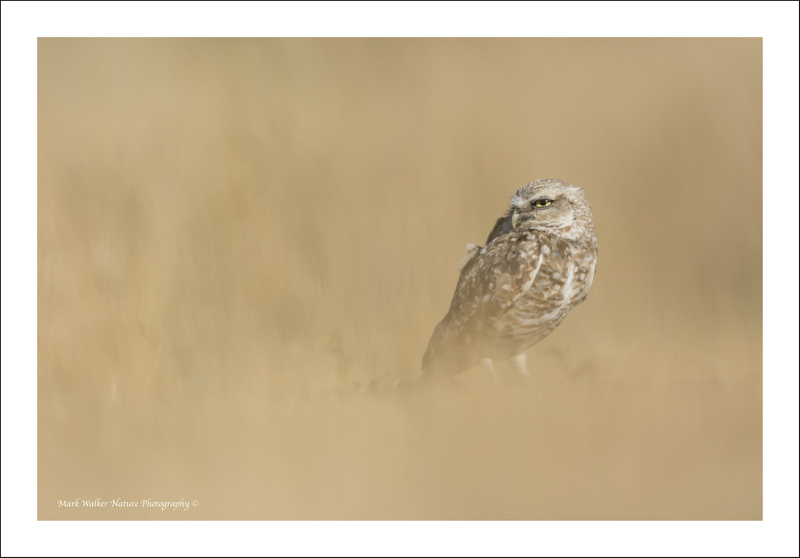 Following on from my first blog, Burrowing Owl #1, the excitment continued as I photographed these comical little characters for a day-and-a-half while I waited for Maria and the kids to fly in from Copenhagen. Like a lot of owl species, the Burrowing owl is a fierce looking little guy and a firm defender of territory. They are so fearless it is possible to get within a few metres, so with a little patience (and the right light conditions) I felt confident I could get some good images. 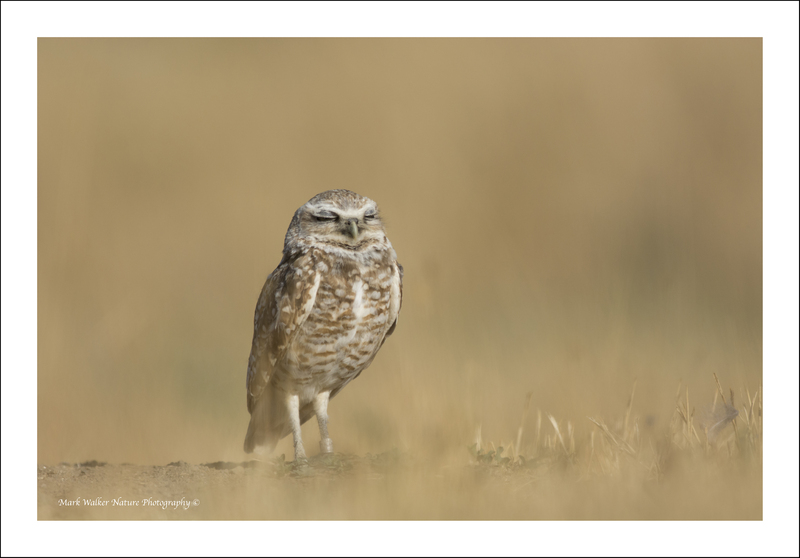 As can be seen from the images, the Burrowing owl is a small, long-legged owl found in grasslands, rangelands, agricultural areas, deserts, or any other open dry area with low vegetation. 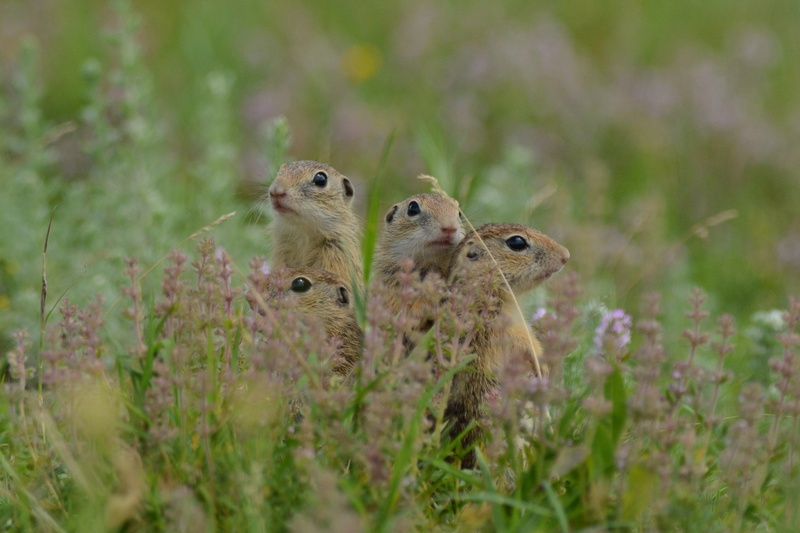 They nest and roost in burrows, such as those excavated by prairie dogs or ground squirrels. 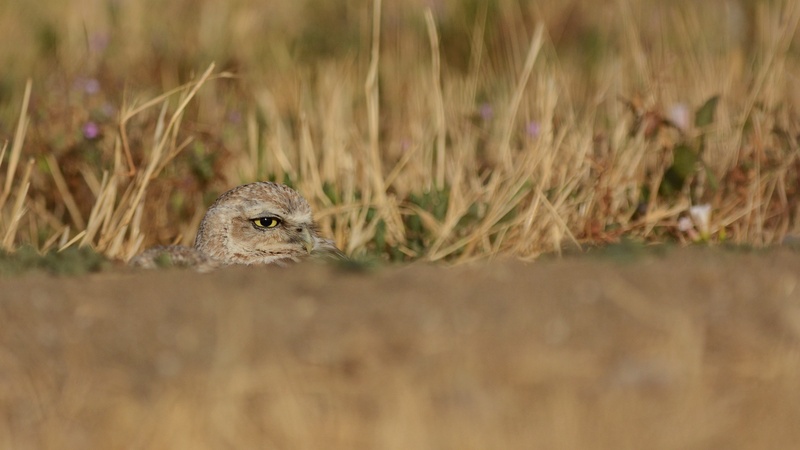 As stated above, the Burrowing Owls are often active during the day, although they tend to avoid the midday heat. But like many other kinds of owls, burrowing owls do most of their hunting from dusk until dawn. Living in open grasslands, the Burrowing owl has developed longer legs, which enables it to sprint as well as fly when hunting. Adults have brown heads and wings with white spotting. The chest and abdomen are white with variable brown spotting or barring, also depending on the subspecies. Juvenile owls are similar in appearance, but they lack most of the whit spotting above and brown barring below. Although I could hear the juveniles calling from the burrows they never appeared above ground, so I may have been a week or two early before they fledged. Males and females are similar in size and appearance, and display little sexual dimorphism. 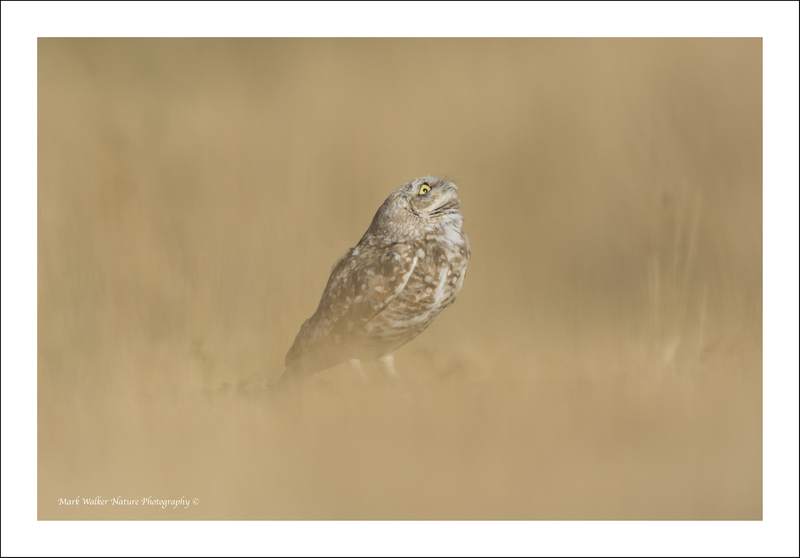 Adult males appear lighter in color than females because they spend more time outside the burrow during daylight, and their feathers become “sun-bleached”, this was the case for the owls I photographed, where I mainly saw two males, with occasional sightings from one female. 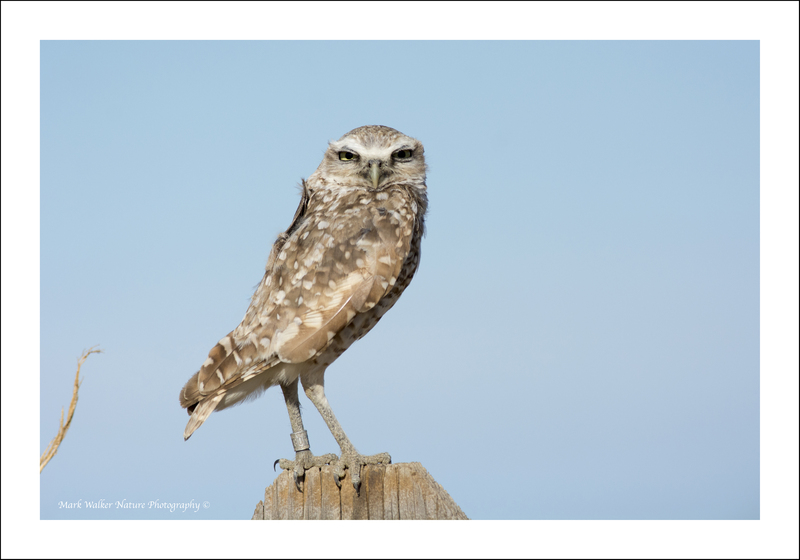 The burrowing owl measures 19–28 cm (7.5–11.0 in) long, spans 51–61 cm (20–24 in) across the wings. As a size comparison, an average adult is slightly larger than an American Robin (Turdus migratorius) or the Common Blackbird (Turdus turdus) of Europe. Before European colonisation, burrowing owls probably inhabited every suitable area of the New World, but in North America they have experienced some restrictions in distribution since. In parts of South America they are expanding their range, one bonus from deforestation. In North America the Burrowing Owl range from the southern portions of the western Canadian provinces through southern Mexico and western Central America. They are also found in Florida and many Caribbean islands. In South America, they are patchy in the northwest and through the Andes, but widely distributed from southern Brazil to Patagonia and Tierra del Fuego. The burrowing owl is endangered in Canada, threatened in Mexico, and a species of special concern in Florida and most of the western USA. However, the Burrowing Owl is fairly common and widespread in open regions of the Neo-tropics and area’s bordering the Amazon Rainforest. Due to this the Burrowing Owl is of Least Concern on the IUCN Red List. I have had a fascination with owls for many years, and I am sure I am not the only one. They are mysterious and most species often never seen, or at least not seen clearly or mostly in the dark. One owl species of interest to me is the Burrowing owl, an owl that is often active during the day and thus can be found more reliably. 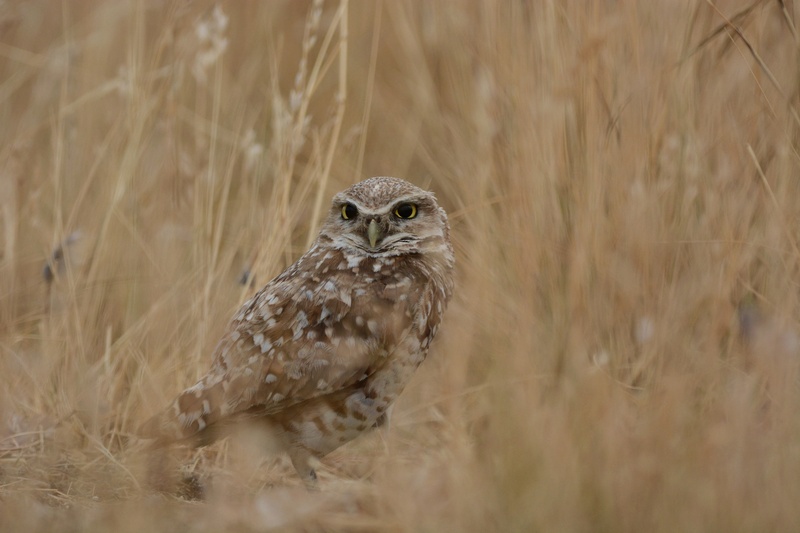 However, the Burrowing owl is decreasing in numbers mainly due to habitat loss, especially in it’s western ranges in the USA, so extensive research is needed to find and track them. Before our summer vacation to the West coast of the USA, I did some research and found a reliable site just over an hour inland from San Francisco. Unfortunately this site was not accessible due to the suspicious death of a pair of owls when a drinking bottle seemed to have been purposely been pushed into the entrance of a breeding burrowing! After more extensive research during my NY business trip I found a second possible location, so this was going to be the chosen location. The search began after a late and delayed flight into San Francisco from New York and an arrival at the hotel at 2 a.m. The late arrival did not deter me and I was up bright and early after a “solid” 3 1/2 hours sleep. After driving for approx half-an-hour I arrived at the “hotspot” and set about locating the owls. Wandering around down a couple of tracks for a couple of hours resulted in no sighting, but then out of the corner of my eye, there hiding in the longish grass was my first Burrowing owl. Woodpecker Tree, interesting name? Well, the story goes like this. 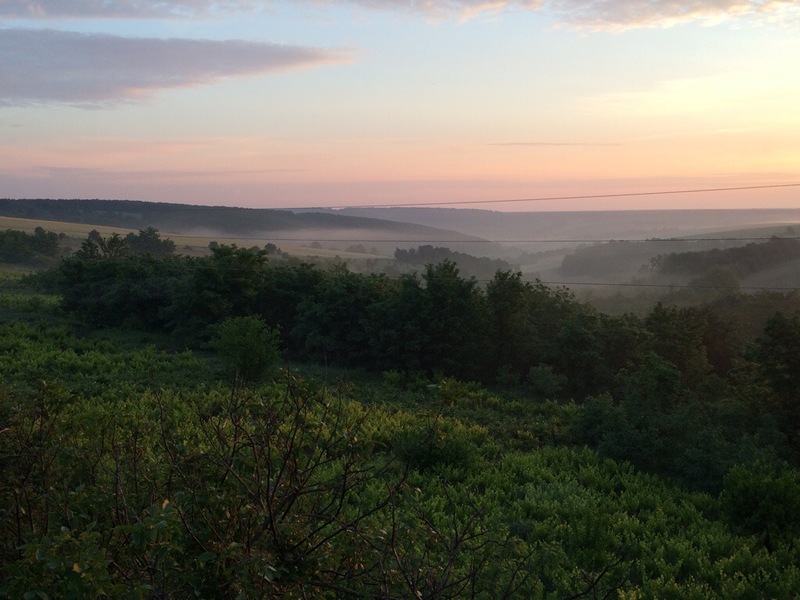 I spent five mornings, from 5am, in a tower hide 9 metres above the ground. 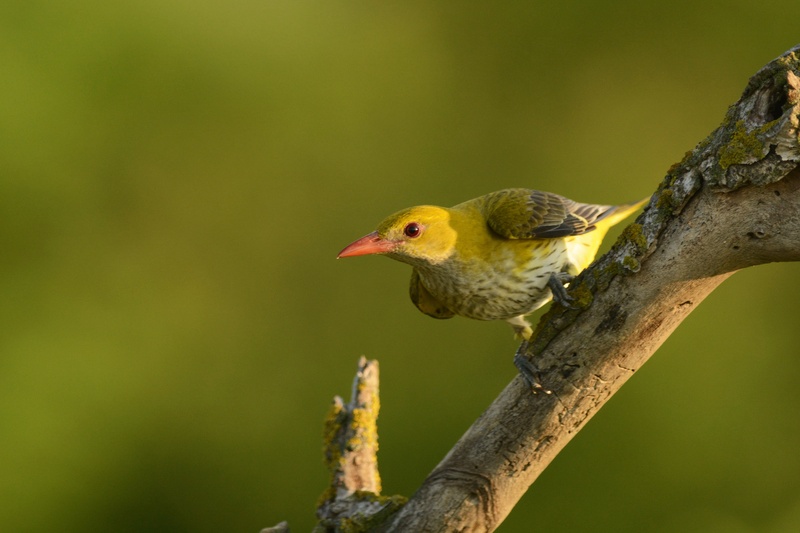 My target was to take images of Golden Oriole, especially the brightly coloured male, however that did not go to plan, more on that in the future. 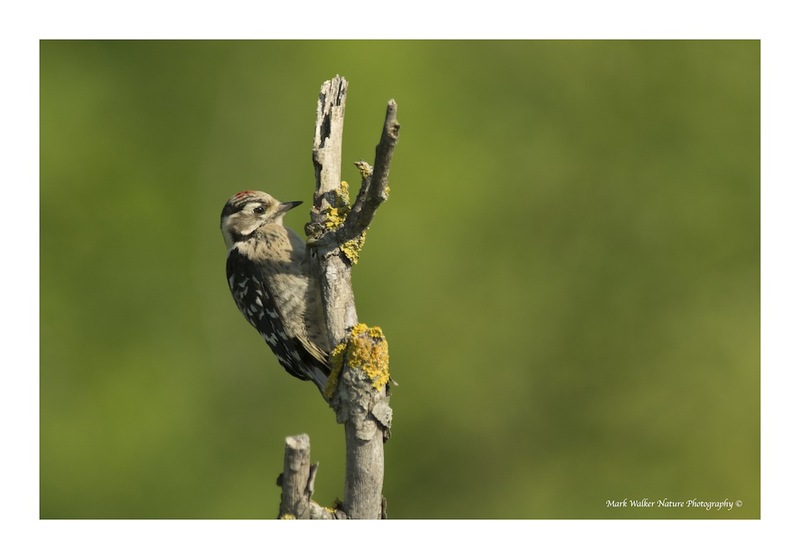 During the periods of waiting, “woodpecker tree” was active, especially from when the sun came up until around the 10am mark. The tree was a hive of activity, with numerous buntings, shrikes and other passerines frequently visiting the tree looking for grubs and fruits. On one of the mornings, I cannot remember which, in the space of two hours we had five woodpecker species (two of which I have never seen before) visiting and foraging as well as a “flyby” green woodpecker. 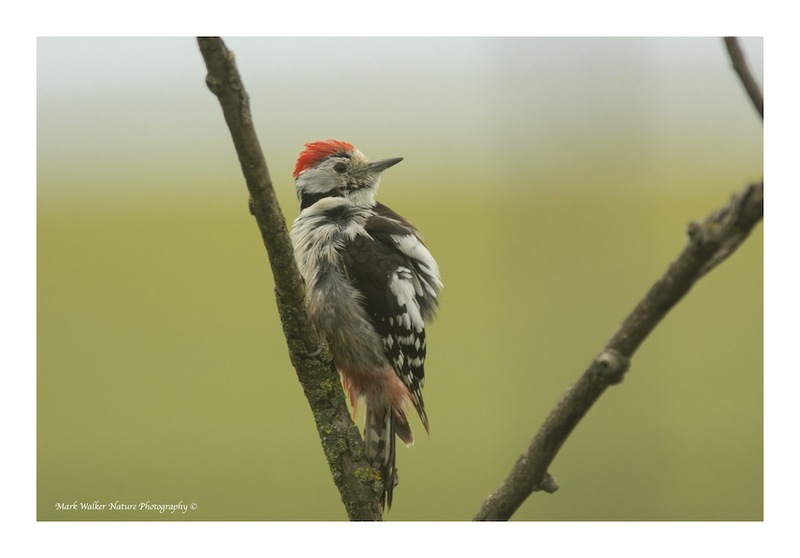 The tree has also attracted a seventh species of woodpecker recently, the Grey-headed woodpecker. 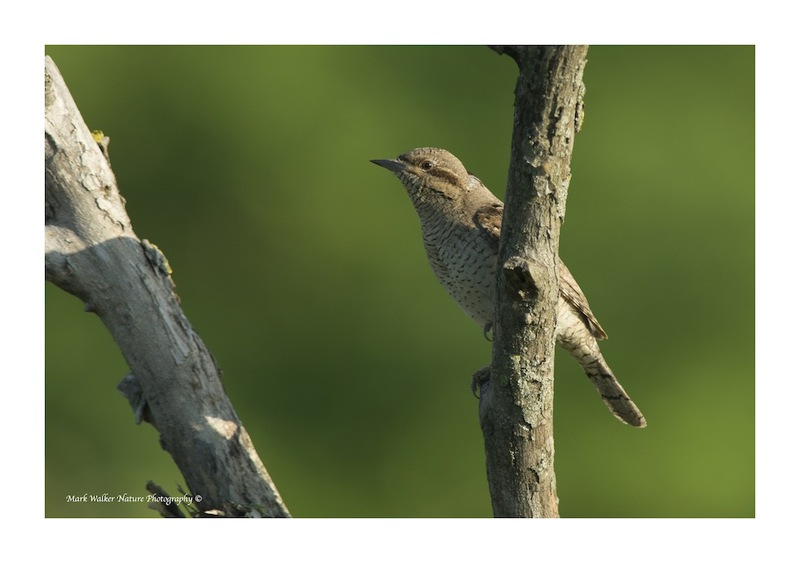 Four of the species were the typical climbing woodpeckers that excavate nest holes in vertical tree trunks with the fifth species being the aberrant Eurasian Wryneck; which either uses an existing cavity in a tree or a nest box. Probably due to the limited number of inhabitants and the traditional farming methods, the Suha Reka region of Bulgaria is truly a “mecca” for bird and nature watching and photography. If you have not already done so, check out my other posts on the Bulgaria trip including; Eurasian Hoopoe; European Bee-eater and European Roller. 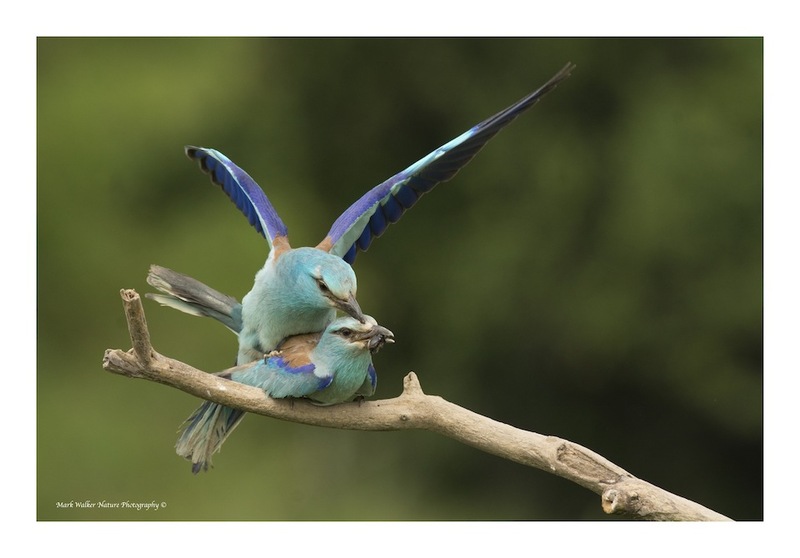 The final article in the series of European Exotics, is the European Roller, equally as stunning as both the European Hoopoe and the European Bee-eater. The European Roller is the only member of the roller family of birds to breed in Europe. Its overall range extends into the east from Central Asia, though the Middle East and down to Morocco. The European Roller is a long-distance migrant, and if we are lucky we will get one or two disoriented migrants coming to Denmark or southern Sweden each year, as long as it is warm enough. The European Roller winters in southern Africa in two distinct regions, from Senegal east to Cameroon and from Ethiopia west to Congo and south to South Africa. 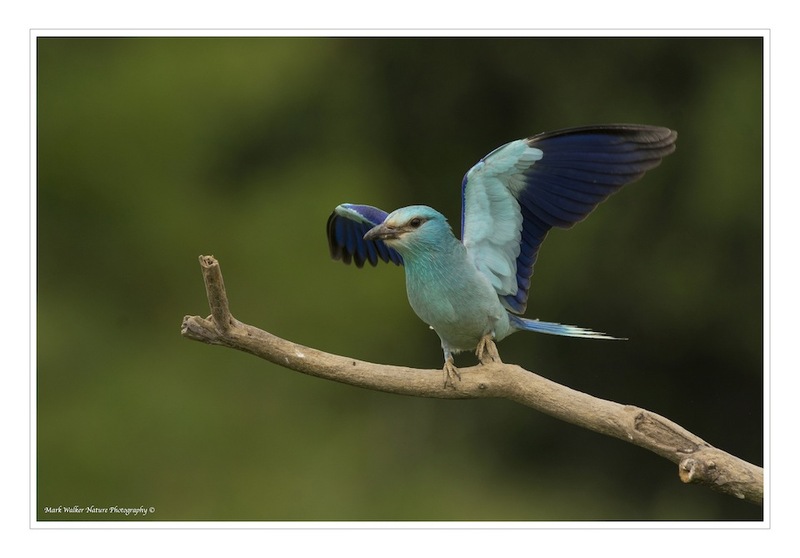 Typical or the species, the European Roller’s I saw in the Suha Reka region of Bulgaris, were seen in warm, dry, open country with scattered trees. They prefer lowland open countryside with patches of oak forest, mature pine woodland with clearings, orchards, mixed farmland, river valleys, and plains with scattered thorny or leafy trees. In and around the valleys of Suha Reka we photographed the European Roller, we saw approximately ten pairs, this was up from three pairs in 2013. 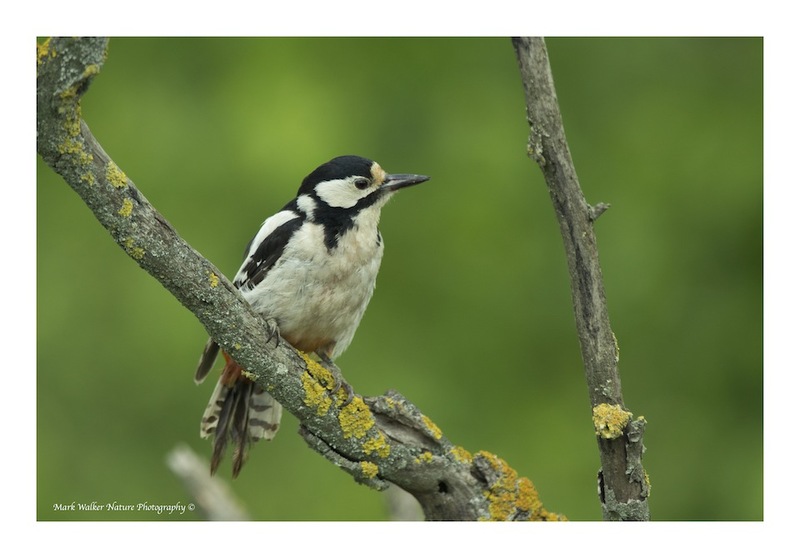 I am sure this in part is due to the efforts of Sergey from http://www.NatureTravel.eu , check out this conservation article here, 30 nest boxes were built and installed in 2013, and Sergey has plans for at least the same level in 2014. 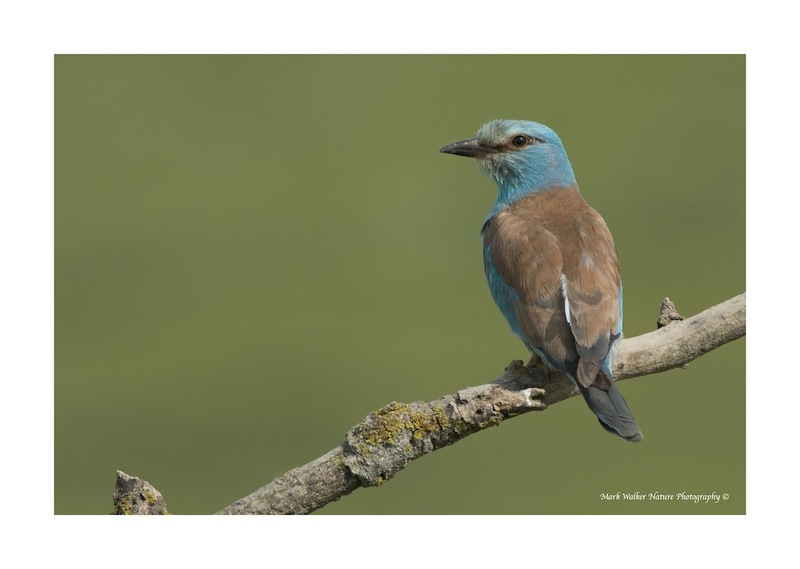 Now for the stats: The European Roller is a stocky bird, similar in size to a Jackdaw; as can be seen from the images on this blog it is mainly blue and aqua with an orange-brown back, with hints of purple and black. European Rollers often perch prominently on trees, posts or overhead wires, whilst watching for the large insects, small reptiles and rodents as well as frogs, thus making them a target for many photographers. It nests in an unlined tree or cliff hole, and lays up to six eggs. 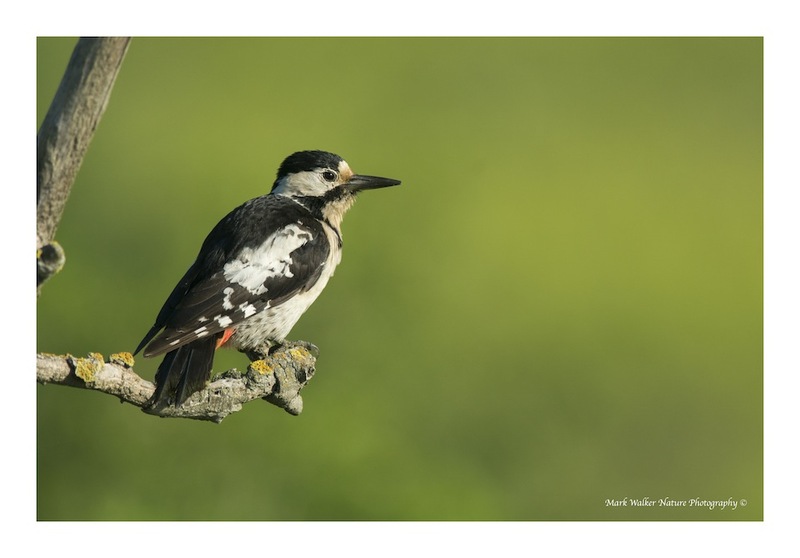 Not surprisingly, the European breeding range was formerly more extensive than today, with b long-term declines in the north and west, including extinction as a nesting bird in Sweden and Germany a long time ago. Maybe with global warming will there be a return to these northern breeding quarters? The European breeding population range estimated at 159,000 to 330,000 birds. When Asian breeders are added, this gives a global total population range of 277,000 to 660,000 individuals. There have been fairly rapid population declines across much of its range, so it is classed as Near Threatened by the International Union for Conservation of Nature. European population decline by 25 percent between 1990 and 2000. Threats include hunting while on migration in around the Mediterranean, and allegedly large numbers killed for food in Oman! 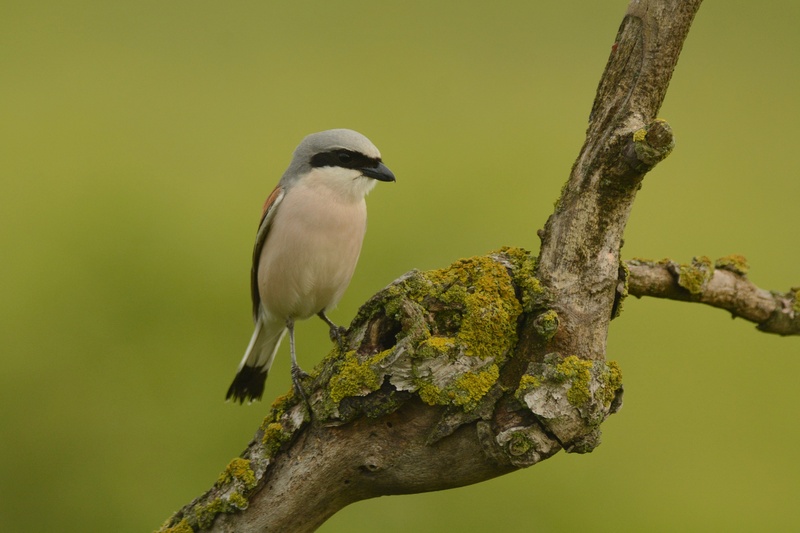 Agricultural practices in some countries have led to the loss of trees and hedges which provide potential nest sites and perches for hunting, and pesticides have reduced the availability of insect food. However, let’s hope initiative like the ones Sergey is undertaking in Suha Reka will be replicated by others and the Eurasian Roller can increase number in the future. 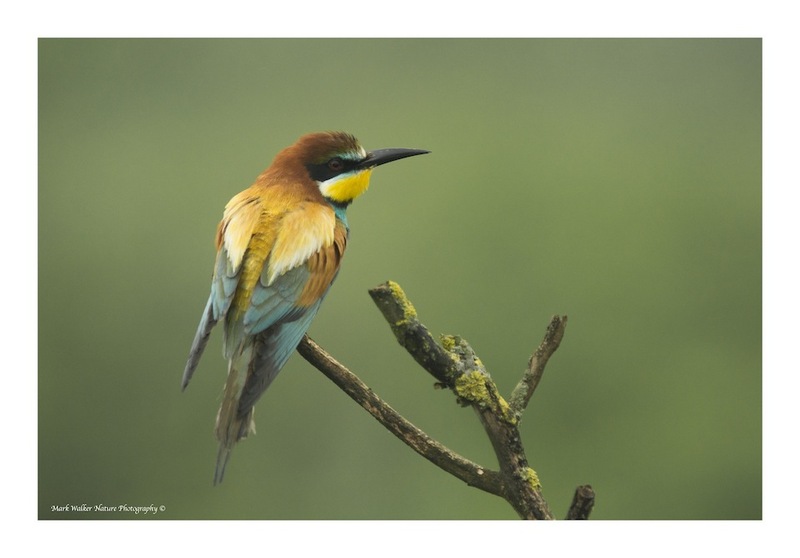 The second article in my three-part series on European Exotics, is the European Bee-eater, an absolutely stunningly multi-coloured bee-eater. 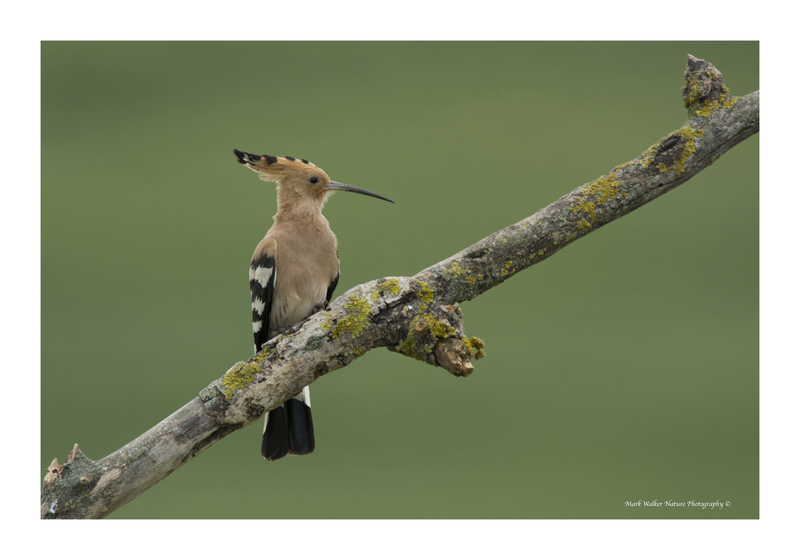 Due to it’s amazing color the European Bee-eater is on an equal footing in the “looking stakes” as the “European Exotic #1 – Eurasian Hoopoe” . It breeds in southern Europe and in parts of north Africa and western Asia. It is strongly migratory, wintering in tropical Africa, India and Sri Lanka. This species occurs as a spring overshoot north of its range, with occasional breeding in northwest Europe, including the UK. This year we have had a good number of sighting already in Scandinavia, however, when in the “Suha Reka Valley” region of Bulgaria recently, these stunners were everywhere, aided of course by the abundance of food, even though the summer had not hit the high temperatures. Like most other bee-eater species, the European bee-eater is a richly coloured, slender, streamlined bird. As can be seen from the above portrait, the European bee-eater has browny/red/rusty and yellow upper parts, whilst the wings are green/blue/aqua and the beak is black and curved. From “tip-to-tail”the European Bee-eater can reach a length of 27–29 cm , slightly bigger than a Great Spotted Woodpecker. Similar to the other “European Exotics” the European Bee-eater is a bird which breeds in open country in warmer climates. 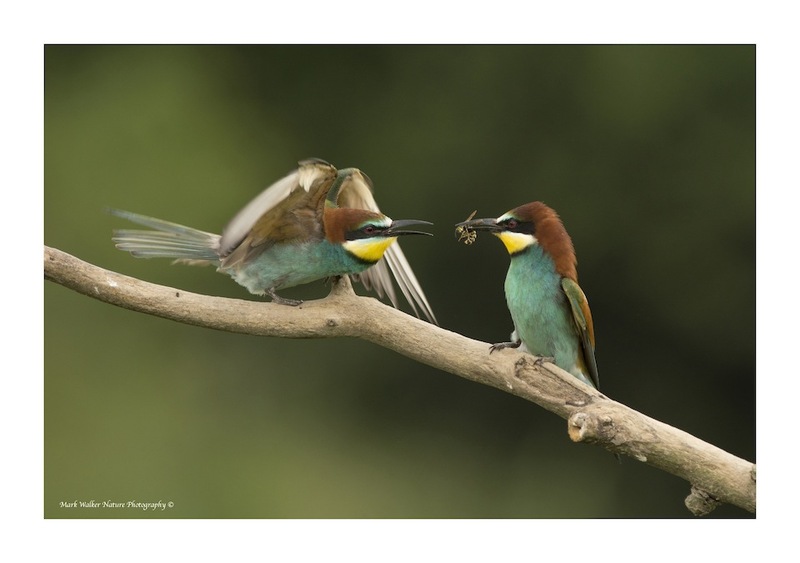 One of the great joy’s of photographing European Bee-eaters in the breeding period is the interaction between male and female birds. The male constantly brings food to the mating perch to woo the female. This happens every two to three minutes if the weather is clear and warm and there is an abundance of food. Just as the name suggests, bee-eaters predominantly eat insects, especially bees, wasps and hornets which are caught in the air by sorties from an open perch. 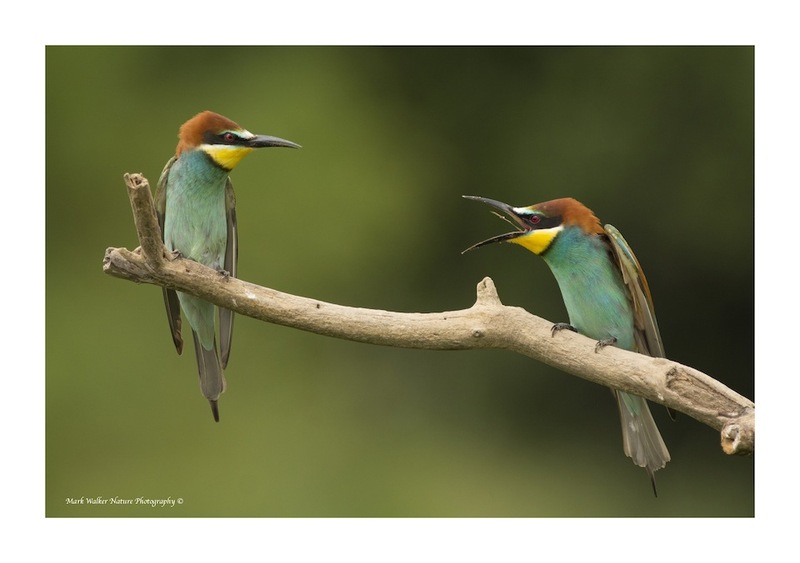 Before eating its meal, a European Bee-eater removes the sting by repeatedly hitting the insect on a hard surface. It eats some 250 bees daily. From time-to-time, small lizards and frogs are also taken. The most important prey item in their diet are Hymenoptera, mostly Apis mellifera; a study in Spain found that these comprise 69.4% to 82% of the European bee-eaters’ diet.Their impact on bee populations however is small; they eat less than 1% of the worker bees in the area in which they live. They like to perch on the nearest branches to the breeding colony, this often leads to squabbles, similar to the one in the image below. These two birds had a stand-off for a good ten minutes, before European starling intervened. In Europe, the breeding population is estimated to number 480,000-1,000,000 breeding pairs, equating to 1440,000-3,000,000 individuals (BirdLife International 2004). Europe forms between 25-49% of the global range. This species is suspected to be in decline owing to loss of suitable prey due to widespread application if pesticides, loss of nesting sites through canalisation of rivers, increasing agricultural efficiency and establishment of monocultures, development of wilderness areas and shooting for sport, for food and because it is considered a crop pest. During the recent trip to Bulgaria, I stayed in an area known as the Suha Reka (dry river) valley. The valley and its adjacent dry riverbeds, cliffs and rocky crests is a mecca for wildlife, especially birds, butterflies and the Souslik, also known as the European Ground Squirrel. The image below was taken around 6am as the sun was lighting up the valley. Suha Reka is located in Dobrudzha, north of the town of Dobrich. The river almost entirely disappears in the karst terrain. Between the villages of Efreytor Bakalovo and Brestnitsa it forms a reservoir about 7-8 km long. The hills along the riverbed is overgrown with shrubs and forest. The open areas around the valley are occupied by agricultural lands and pastures, grassed the local cows and sheep, every day whilst I was around the area photography the nature. Suha Reka supports approximately 200 bird species, 90 species of which are of European conservation concern (BirdLife International, 2004). The image above was taken around 8pm in the evening. The Suha Reka dry riverbed is one of the most important areas in the country for the Ruddy Shelduck, Long-legged Buzzard, Lesser Spotted Eagle and the Eagle Owl, where these species breed in good numbers. A complex of species, typical to open and transitional habitats are presented in the area with significant breeding populations as well – Ortolan Bunting, Golden Oriole, European Roller, Stone Curlew, Barred Warbler, Red-backed and Lesser Grey Shrike, all of which are rare and difficult to find in Northern Europe. 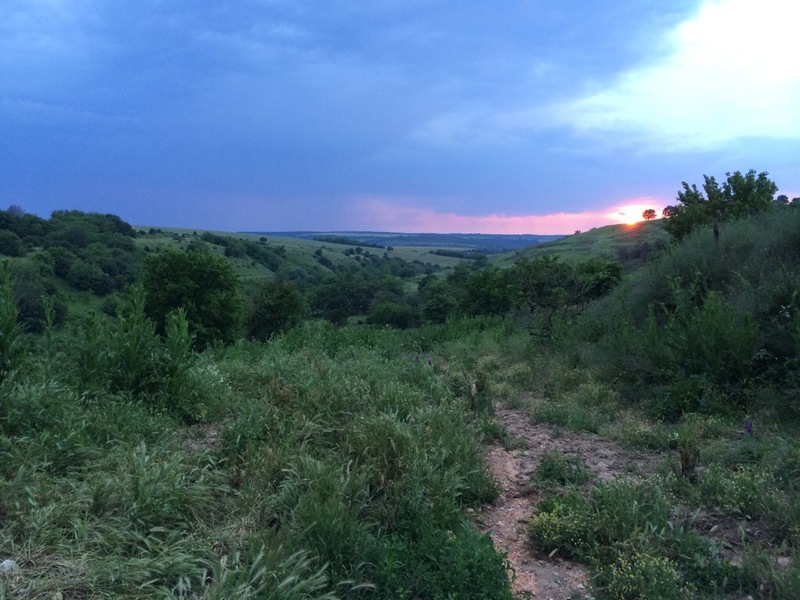 Just back from a few days in North Eastern Bulgaria with Sergey from http://www.NatureTravel.eu. During the trip I photographed many wonderful species, especially the “exotics” of Europe. One of these being the Eurasian Hoopoe. A long time ago, when I was 10 years old to be precise, I saw a Hoopoe in our garden in South Africa, since this day the Hoopoe has always been a bird at the top of my list. The Hoopoe is a stunningly colourful bird, as can be seen from the above image, that is found across Afro-Eurasia region. Interestingly, the English name is an onomatopoetic form which imitates the cry of the bird. 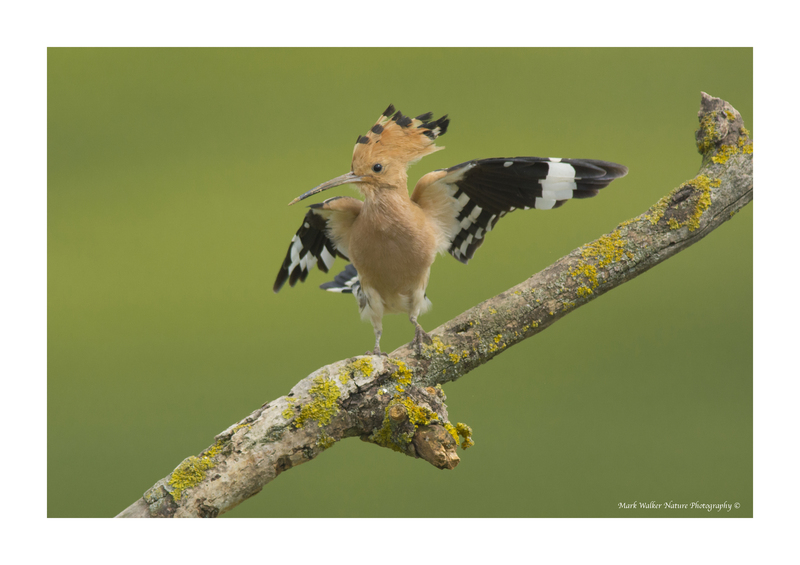 As can be seen from the images, the Hoopoe is highly distinctive, with it’s long thin tapering bill, broad and rounded wings, stunning crest and wonderful plumage. Not to mention the trisyllab call; oop-oop-oop, which gives rise to its English and scientific names, although two and four syllables are also common. The Hoopoe was a wonderful companion each morning at 5am when Sergey and I were up ready for our early morning photography sessions, calling from a distant tree and vying for our attention along with Common Cuckoo, Golden Oriole, Turtle Dove and Ortolan Bunting. The Hoopoe is widespread in Europe, Asia, North Africa, Sub-Saharan Africa and Madagascar. Most European and North Asian birds migrate to the tropics in winter, in contrast the African populations are sedentary. Remarkably, the Hoopoe has been a vagrant in Alaska!! Although this was in 1975. The Hoopoe has two basic requirements in its habitat; bare or lightly vegetated ground, which is plentyful in the Suha Reka region of Bulgaria, on which to forage and vertical surfaces with cavities, such as trees, cliffs or even walls, nestboxes, haystacks, and abandoned burrows, which to nest. Burrows being the prefered choice in Suha Reka. Having seen and photographed the Hoppoe last week, the memories of living in South Africa as a child have been stirred and more birds are coming to the forefront of my mind, maybe an African safari is on the horizon………………. I am a British guy currently living in Copenhagen, Denmark. Through this blog I hope to keep you up-to-date with my nature photographic adventures and also try to provide some interesting and relevant nature articles, all of which I hope you enjoy reading.